Do you have a student(s) at Gardens Elementary in grades 3, 4 or 5? Tennis Club is after school inside Gardens’ gymnasium (3:30-4:30pm) on Wednesdays for 4 weeks beginning on 2/6/19. 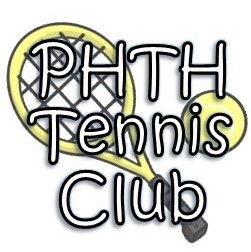 A Pizza Party/Parents Learn to Play session at the Port Huron Tennis House – parents come play tennis with your kids! Print/complete the Gardens Marysville Tennis Club Gr 3-5 2019 entry form and submit to your school by Friday, February 1st or send an email to Coach Steve Pillon at sspillon@yahoo.com (entry forms and payment are due the first day of Tennis Club). We hope your child can join us for some TENNIS FUN!